No matter how old you are, there are always times your face may have a pimple or dry spots. 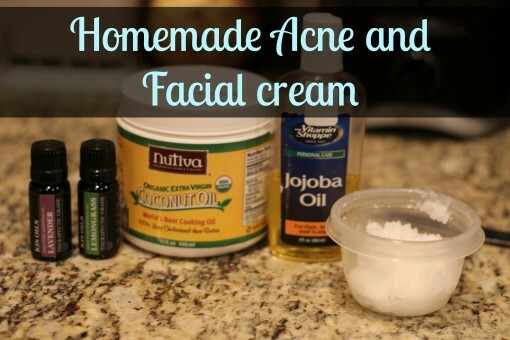 This facial cream is perfect for those times, or repair during the winter months. Coconut oil as the base, 3 drops of each: tea tree oil, lavender oil, lemongrass oil. Mix together and keep in a jar. Use a 1/2 teaspoon or so to rub into skin. I’m using jojoba oil on my growing belly, but I didn’t put any in the face cream. These ingredients were specifically chosen based on their healing ability. Coconut oil is an amazing natural moisturizer. It is also antibacterial and antimicrobial. Tea tree oil is also antifungal, antimicrobial, antibacterial. Which makes it perfect for cleansing. Lavender oil is soothing for irritated and inflamed skin. 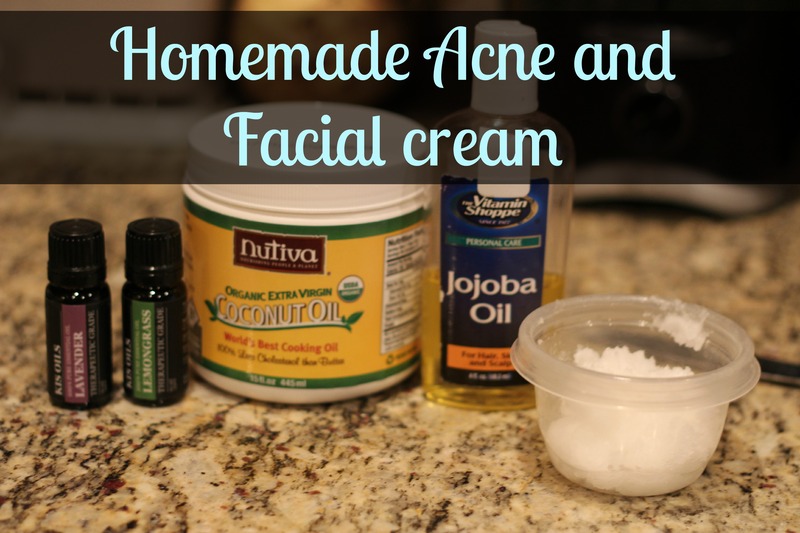 Adam used this homemade cream as a moisturizer for an inflamed area on his forehead. After using it for a week, he really did see an improvement!